6 "March of the Pilots"
It became the Directorate of the USSR Air Forces on 28 March 1924, and then the Directorate of the Workers-Peasants Red Army Air Forces on 1 January 1925. Gradually its influence on aircraft design became greater. From its earliest days, the force mimicked ground forces' organization especially in the 1930s, by which time it was made up of air armies, aviation corps, aviation divisions, and aviation regiments (composed of air squadrons, flights, and fireteams, respectively). After the creation of the Soviet state many efforts were made in order to modernize and expand aircraft production, led by its charismatic and energetic commander, General Yakov Alksnis, an eventual victim of Joseph Stalin's Great Purge. Domestic aircraft production increased significantly in the early 1930s and towards the end of the decade, the Soviet Air Force was able to introduce Polikarpov I-15 and I-16 fighters and Tupolev SB and SB-bis and DB-3 bombers. One of the first major tests for the VVS came in 1936 with the Spanish Civil War, in which the latest Soviet and German aircraft designs were employed against each other in fierce air-to-air combat. At first, the I-16 proved superior to any Luftwaffe fighters, and managed to achieve local air superiority wherever they were employed. However, the Soviets refused to supply the plane in adequate numbers, and their aerial victories were soon squandered because of their limited use. Later, Bf 109s delivered to Franco's Spanish Nationalist air forces secured air superiority for the Nationalists, one they would never relinquish. The defeats in Spain coincided with the arrival of Stalin's Great Purge of the ranks of the officer corps and senior military leadership, which severely affected the combat capabilities of the rapidly expanding Soviet Air Forces. Newly promoted officers lacked flying and command experience, while older commanders, witnessing the fate of General Alksnis and others, lacked initiative, frequently referring minor decisions to Moscow for approval, and insisting that their pilots strictly comply with standardized and predictable procedures for both aerial attack and defence. Soviet propaganda, newspaper articles, and other forms of media sought to connect Soviet citizens to relevant themes from daily life. For aviation, Stalin's propagandists drew on Russian folklore. Examples increased dramatically following the successes of the transpolar flights by Chkalov and Gromov in 1937. Aviators were referred to symbolically as sokoly (falcons), orly (eagles), or bogatyry (warriors). Newspapers told traditional Russian narratives (skazki) of fliers conquering time and space (prostranstvo), overcoming barriers and completing their missions in triumph. Even the story of each aviator suggests roots in old Russian storytelling and narratives—virtuous heroes striving to reach an end goal, encountering and conquering any obstacles in their path. By using folklore rhetoric, Stalin and Soviet propagandists connected aviation achievements to Russian heritage, making aviation seem more accessible to the Soviet population. Furthermore, the narratives emphasize the aviators' selflessness and devotion to a higher socialist ideal, pointing to Soviet leaders as inspirers and role models. Paternalism was also a theme that Soviet propagandists exploited in aviation culture. The media presented Stalin as an example and inspiration, a father figure and role model to the most prominent Soviet pilots of the period. When recounting stories of meetings between Stalin and Chkalov, for example, Soviet newspapers spoke of Stalin's paternalism towards the young pilot. The paternal metaphor was completed with the addition of a maternal figure—Russia, the motherland, who had produced "father" Stalin's heroic sons such as Chkalov. The use of familial metaphors not only evoked traditional hereditary pride and historic Russian patriotism, they boosted Stalin's image as a benevolent leader. Most importantly, paternalism served to promote the message of individual subordination to authority. Through his paternal relationships with Soviet pilots, Stalin developed an "ethos of deference and obedience" for Soviet society to emulate. The successful achievements in Soviet aviation also came during the worst days of the Great Purge. The transpolar flights in summer 1937 occurred following the arrest and execution of a large body of the Red Army officer corps. Fifteen of sixteen total army commanders were executed; more than three-fourths of the VVS senior officers were arrested, executed, or relieved of duty. News coverage of the arrests was relatively little compared to treatment of aviation exploits, deflecting attention away from the arrests. 1930s Soviet aviation also had a particular impact on the USSR's military failures in the beginning of World War II. By 1938, the Soviet Union had the largest air force in the world, but Soviet aeronautical design distinctly lagged behind Western technological advances. Instead of focusing on developing tactical aircraft, the Soviets engineers developed heavy bomber planes only good for long distance—in other words, planes that would be used for record-breaking flights like those of Chkalov's. The Soviet government's focus on showy stunts and phenomenal record-breaking missions drained resources needed for Soviet defense. When Nazi Germany attacked the Soviet Union in June 1941, it quickly became apparent that the Soviet Air Force was not prepared for war. Poor planning and lack of organization left planes sitting on the tarmac at airbases, allowing the Luftwaffe to destroy 4,000 Soviet planes within the first week. The disorganized Soviet defenses and technologically deficient aircraft were no match for the Luftwaffe. At the outbreak of World War II, the Soviet military was not yet at a level of readiness suitable for winning a war: Joseph Stalin had said in 1931 Soviet industry was "50 to 100 years behind" the Western powers. By the end of the war, Soviet annual aircraft production had risen sharply, reaching 40,241 in 1944. Some 157,261 machines were produced during the Great Patriotic War, 125,655 being of combat types. The principal VVS aircraft during World War II were the Ilyushin Il-2 Shturmovik armored ground attack monoplane and the series of AS Yakovlev OKB-115 designed single-engined fighters, beginning with the Yak-1 and its successors. The Il-2 became (at 36,183 built) the most produced military aircraft of all time, with the four main versions of Yak fighters (the Yak-1, −3, −7 and −9) being slightly more numerous, at a total of 36,716 among them. These two main types together accounted for about half the strength of the VVS for most of the Great Patriotic War. The Yak-1 was a modern 1940 design and had room for development, unlike the mature 1935-origin Messerschmitt Bf 109. The Yak-9 brought the VVS to parity with the Luftwaffe and eventually allowed it to gain the upper hand, until in 1944, many Luftwaffe pilots deliberately avoided combat with the last and best variant, the out-of-sequence numbered Yak-3. The other main VVS types were Lavochkin fighters (mainly the La-5), the Petlyakov Pe-2 twin engined attack-bombers, and a basic but functional and versatile medium bomber, the Ilyushin Il-4. Alone among World War II combatants, the Soviet Air Force initiated a program to bring women with existing flying training into combat air groups. Marina Raskova, one of very few women in the VVS prior to the war, used her influence with Stalin to form three all-female air regiments: the 586th Fighter Aviation Regiment, the 587th Bomber Aviation Regiment, and the 588th Night Bomber Aviation Regiment (a.k.a. the Night Witches.) Women flew aircraft so heavy that sometimes two of them were required to haul back on the joystick on takeoff. Another pilot, Olga Yemshokaya, flying at ten thousand feet, discovered a mouse, put there by mischievous male colleagues, in her cockpit. Being more worried by the rodent than the German fighter threat, she hunted for, eventually caught and ejected it. Chief Marshal of Aviation Alexander Novikov led the VVS from 1942 to the end of the war, and was credited with introducing several innovations and weapons systems. For the last year of the war German military and civilians retreating towards Berlin were hounded by the presence of "low flying aircraft" strafing and bombing them, an activity in which even the ancient Polikarpov Po-2, a much produced flight training (uchebnyy) biplane of 1920s design, took part. However, this was but a small measure of the experience the Wehrmacht were receiving due to the sophistication and superiority of the Red Air Force. In one strategic operation alone, the Yassy-Kishinev Strategic Offensive, the 5th and 17th Air Armys and the Black Sea Fleet Naval Aviation aircraft achieved a 3.3 to 1 superiority in aircraft over Luftflotte 4 and the Royal Romanian Air Force, allowing almost complete freedom from air harassment for the ground troops of the 2nd and 3rd Ukrainian Fronts. As with many Allied countries in World War II, the Soviet Union received Western aircraft through Lend-Lease, mostly Bell P-39 Airacobras, Bell P-63 Kingcobras, Curtiss P-40 Kittyhawks, Douglas A-20 Havocs, Hawker Hurricanes, and North American B-25 Mitchells. Some of these aircraft arrived in the Soviet Union in time to participate in the Battle of Moscow, and in particular with the PVO or Soviet Air Defence Forces. Soviet fliers in P-39s scored the highest individual kill totals of any ever to fly a U.S. aircraft. Two air regiments were equipped with Spitfire Mk.Vbs in early 1943 but immediately experienced unrelenting losses due to friendly fire as the British aircraft looked too much like the German Bf 109. Lend-Lease aircraft from the U.S. and UK accounted for nearly 12% of total Soviet air power. 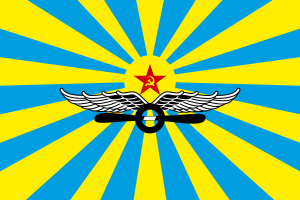 In 1945–46, the WPKA Army Air Forces became the Soviet Air Forces once again. Its capabilities increased. The force became one of the best services of the Soviet Armed Forces due to the various types of aircraft being flown and their capabilities and the strength and training of its pilots, and its air defense arm became an independent component of the armed forces in 1949, reaching full-fledged force status in 1954. The 64th Fighter Aviation Corps (ru:64-й истребительный авиационный корпус) fought in the Korean War. 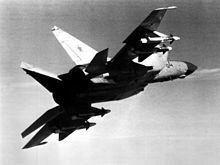 During the Cold War, the Soviet Air Force was rearmed, strengthened and modern air doctrines were introduced. At its peak in 1980, it could deploy approximately 10,000 aircraft, making it the world's largest air force of the time. Though the experiment was then applied countrywide in 1980, it was reversed in 1986, but then most of the Air Defense Forces's command and control duties and assets became part of the Air Force, as well as several educational and training institutions. During the Cold War the VVS was divided into three main branches (equivalent to commands in Western air forces): Long Range Aviation (Dal'naya Aviatsiya – DA ), focused on long-range bombers; Frontal Aviation (Frontovaya Aviatsiya – FA), focused on battlefield air defence, close air support, and interdiction; and Military Transport Aviation (Voenno-Transportnaya Aviatsiya – VTA), which controlled all transport aircraft. The Soviet Air Defence Forces (Voyska protivovozdushnoy oborony or Voyska PVO), which focused on air defence and interceptor aircraft, was then a separate and distinct service within the Soviet military organisation. Yet another independent service was the Soviet Navy's air arm, the Soviet Naval Aviation (Aviatsiya Voenno Morskogo Flota – "AV-MF"), under the Navy Headquarters. Two programs were initiated, one of which was proposed to directly confront the United States' then-projected Advanced Tactical Fighter (that was to lead to the development of the F-22 Raptor and the YF-23 Black Widow II). This future fighter was designated as Mnogofounksionalni Frontovoi Istrebitel (MFI) (Multifunctional Frontline Fighter) and designed as a heavy multirole aircraft, with air-supremacy utmost in the minds of the designers. In response to the American X-32/F-35 project, Russia began the LFI program, which would develop a fighter reminiscent of the X-32/F-35 with a single engine, without the capabilities of a true multirole aircraft. The LFI (Lyogkiy Frontovoy Istrebitel, Light Frontline Fighter) project was intended to develop a lightweight fighter with respectable air-to-ground capabilities. Yakovlev proposed the Yak-43, an upgraded Yak-41 with a stealthier design and more powerful engines. After neglecting the MFI competition, Sukhoi decided to submit a design for the LFI called the S-37 (unrelated to the heavyweight forward-swept wing fighter). This S-37 resembled the Gripen in that it had canard foreplanes, a delta wing and one engine. Mikoyan entered the MiG 4.12. MiG could not afford to develop both the MFI and LFI, so their LFI entry was eventually withdrawn. Developed into Mikoyan LMFS. Russia would later change the designation of the LFI project to LFS, making it a multirole aircraft with emphasis on ground attack capability. During the 1990s the Russian military cancelled the LFS projects and continued with the MFI project, with minimal funding, believing that it was more important than the production of a light fighter aircraft. No advanced fighter successor to the Su-27 and MiG-29 family has entered service. Sukhoi won the latest PAK FA competition in 2002; the aircraft's first flight took place on 29 January 2010. Following the dissolution of the Soviet Union in December 1991 the aircraft and personnel of the Soviet VVS were divided among the newly independent states. Russia received the plurality of these forces, approximately 40% of the aircraft and 65% of the manpower, with these forming the basis for the new Russian Air Force. Military Transport Aviation included six separate regiments, and five divisions with a total of 18 military transport aviation regiments in 1988. The divisions were the 3rd Guards Military Transport Aviation Division (VTAD) at Vitebsk (four regiments), the 6th Military Transport Aviation Division at Krivoy Rog (two regiments), the 8th Division at Omsk Chkalovsk near Omsk (three OSNAZ regiments), the 12th Military Transport Aviation Division at Migalovo, which traced its heritage to the 12th Bomber Aviation Division of the World War II period, and had three regiments, and the 18th Military Transport Aviation Division at Shaulyai, tracing its history to the wartime 6th Guards Bomber Aviation Division, and had three regiments. In addition, the 34th Mixed Aviation Corps (ru:34-й смешанный авиационный корпус) supported the 40th Army in Afghanistan during the Soviet–Afghan War. A Krasnaya Zvezda military schools list of 17 January 1980 included 24 Air Forces schools. Nine Higher Aviation Schools of Pilots were reported (including the Borisoglebsk Higher Military Aviation School of Pilots at Borisoglebsk), two navigator schools (including the Chelyabinsk Higher Military Aviation School of Navigators/50th Anniversary of the Komsomols), the Khar'kov Higher Military Aviation Command School of Signals, five three-year technical secondary schools, six Air Force engineering schools (including the Kiev Higher Military Aviation Engineering School), and the Kurgan Higher Military-Political Aviation School. "March of the Pilots" was the official anthem of the Air Forces of the USSR. It was written and published in the spring of 1923. Music by Yuliya Abramovich Hite, lyrics by Paul Davidovich Herman. ^ Главное управление Военно-Воздушных сил Красной Армии [GUVVS] (in Russian), RU: RKKA, archived from the original on 29 May 2008, retrieved 31 May 2008 . ^ "The Command Structure of the Soviet Air Forces, 1918–1941". On Air power. 2008. Archived from the original on 27 July 2011. Retrieved 4 February 2011. ^ Higham, Robin, and Greenwood, John T., Russian Aviation and Air Power in the Twentieth Century, Routledge Press (1998), ISBN 978-0-7146-4784-5, pp. 40–46. ^ www.warintheskies.com, Mike Colclough,. "Soviet Air Force (VVS)". www.warintheskies.com. Archived from the original on 30 April 2017. Retrieved 5 February 2017. ^ Palmer, Scott (2006). Dictatorship of the Air: Aviation Culture and the Fate of Modern Russia. Cambridge, New York: Cambridge University Press. p. 220. ^ Palmer, Dictatorship of the Air, 220. ^ In 1935, attempts at navigating a transpolar route ended in failure. Palmer, Dictatorship of the Air, p.223. ^ a b Palmer, Dictatorship of the Air, p.230. ^ As quoted in Bailes, Kendall (January 1976). "Technology and Legitimacy: Soviet Aviation and Stalinism in the 1930s". Technology and Culture. 17 (1): 63. doi:10.2307/3103253. ^ Bergman, Jay (January 1998). "Valerii Chkalov: Soviet Pilot as New Soviet Man". Journal of Contemporary History. 33 (1): 136. ^ Fitzpatrick, Sheila (1999). Everyday Stalinism: Ordinary Life in Extraordinary Times: Soviet Russia in the 1930s. New York: Oxford University Press. p. 73. ^ Palmer, Scott (2005). "Icarus, East: The Symbolic Contexts of Russian Flight". The Slavic and East European Journal. 49 (1): 38. doi:10.2307/20058219. ^ Hardesty, Von (1991) . "Where Was Our Air Force?". Red Phoenix: The Rise of Soviet Air Power 1941–1945. Washington, D.C.: Smithsonian Institution. p. 55. ISBN 0-87474-510-1. ^ "Kharin", All Aces, RU . ^ Bailes, p. 69 quotes an article from Red Air Force General Alksnis: "The constructor who creates and equips the plane must be oriented not toward phenomenally gifted flyers but towards rank-and-file pilots." ^ Whiting, Kenneth (1986). Soviet Air Power (revised ed.). Boulder, Colorado: Westview Press. p. 125. ^ "Why did Stalin rise to power?". Socialist Worker Online. 1 August 2003. Archived from the original on 10 January 2011. Retrieved 4 February 2011. ^ Hardesty, Von (1991) . "Barbarossa to Berlin: A Summing Up". Red Phoenix: The Rise of Soviet Air Power 1941–1945. Washington, DC: Smithsonian Institution. p. 225. ISBN 0-87474-510-1. ^ Hardesty, Von (1991) . "At Full Stride". Red Phoenix: The Rise of Soviet Air Power 1941–1945. Washington, D.C.: Smithsonian Institution. p. 193. ISBN 0-87474-510-1. ^ "1st Latvian Night Aviation Regiment (legkobombardirovochny rezhitsky)" (in Russian). AllAces.ru. Archived from the original on 19 December 2010. Retrieved 4 February 2011. ^ Wagner, Ray (ed. ), and Leland Fetzer (trans.). The Soviet Air Force in World War II: The Official History. Melbourne: Wren Publishing, 1973, p.301. ISBN 0-85885-194-6. ^ Hill, Alexander (2007). "British Lend Lease Aid and the Soviet War Effort, June 1941 – June 1942". The Journal of Military History. 71 (3). JSTOR 30052890. ^ Hardesty, Von (1991) . Red Phoenix: The Rise of Soviet Air Power 1941–1945. Washington, D.C.: Smithsonian Institution. p. 135. ISBN 0-87474-510-1. ^ "Aviation History: Interview with World War II Soviet Ace Ivan Kozhedub". HistoryNet. 12 June 2006. Archived from the original on 1 September 2016. Retrieved 19 August 2016. ^ Hames, David R. "Russian Aviation Regiments 1941–". UK: Samolet. Archived from the original on 16 March 2008. ^ Holm, Michael, 1st Guards Fighter Aviation Division, DK: WW2, archived from the original on 18 March 2012, retrieved August 2011 Check date values in: |accessdate= (help). ^ "The U.S.S.R.: Moscow's Military Machine". Time. 23 June 1980. Archived from the original on 6 November 2012. Retrieved 4 February 2011. ^ Zaloga, Steve; Volstad, Ron (1987), Inside the Soviet army today, p. 9 . ^ Odom, William E (2000), The Collapse of the Soviet Military, Yale University Press, pp. 45–46 notes that 97% of the officer corps was Russian, Ukrainian or Belorussian. ^ Moynahan, Brian (1989), Claws of the Bear: The History of the Red Army from the Revolution to the Present, p. 337 . ^ Wimbush, S. Enders; Alexiev, Alex (1982), The ethnic factor in the Soviet Armed Forces, RAND, p. vii . ^ "First flight of fifth-generation fighter successful" (in Russian). RU: Lenta. 2011. Archived from the original on 8 February 2011. Retrieved 4 February 2011. ^ "Sukhoi Company launches flight tests of PAK FA advanced tactical frontline fighter". Sukhoi News. Sukhoi Company (JSC). 29 January 2011. Archived from the original on 1 May 2011. Retrieved 4 February 2011. ^ Feskov et al. 2004, p. 146. ^ Steven J. Zaloga, "Armed Forces in Ukraine", Jane's Intelligence Review, March 1992, p.135. ^ Holm, Michael, Flying Schools and Training Centres, DK: WW2, archived from the original on 18 March 2012, retrieved August 2011 Check date values in: |accessdate= (help). ^ a b "Russia: Long-range aviation". GlobalSecurity.org. 2010. Archived from the original on 4 February 2012. Retrieved 4 February 2011. ^ "Russia: Air forces inventory". GlobalSecurity.org. 2010. Archived from the original on 25 May 2011. Retrieved 4 February 2011. Mason, Richard Anthony, and John William Ransom Taylor. Aircraft, strategy, and operations of the Soviet Air Force. London: Jane's, 1986. Von Hardesty; Ilya Grinberg (2012). Red Phoenix Rising: The Soviet Air Force in World War II (2nd ed.). University Press of Kansas. ISBN 978-0-7006-1828-6. 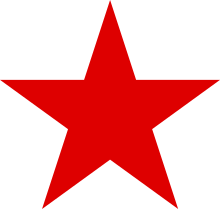 Wikimedia Commons has media related to Soviet Air Forces.